It can seem like having a small home is a liability. After all, there's a certain feeling that homebuyers are always looking for something bigger and better. 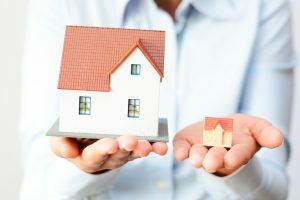 If you have paid attention to the way home sales have been going over the last few years, though, you'll notice that smaller homes are beginning to sell faster than many of their larger competitors. Below are four reasons why your smaller house can sell for more than ever before. The housing market is always shifting. While the damage that was done during the crash of 2008 has largely been alleviated, the way that people buy homes has changed. While at one time buyers were looking to get as much square footage for their money as possible, they are now looking for smart investments. Many buyers now look at the lower maintenance costs and the location of the home as far more valuable than the size metric. This, in turn, allows owners of smaller homes to be more competitive than their larger neighbors, especially when selling to investors. There has also been a huge scene change when it comes to small space interior design. More and more designers are looking to design for small spaces, making the most of what they have instead of filling up larger rooms. This is a spin-off of the tiny home movement, one that has really altered the overall design landscape. While most buyers aren’t looking for a true tiny home, many have begun to realize that they can do much more with much less. This is fantastic for you as an owner of a smaller home, as buyers are finally realizing how much they can do with the square footage you are selling. As long as this movement persists, owners of small homes will be at a major advantage. Buyers have also become incredibly conscious about the areas in which they live. With some buyers now targeting hip new areas, they are willing to put aside some of their size concerns in order to get into the hottest neighborhoods. Even if your home is only adjacent to one of these hot spots, you'll find buyers who would have never looked twice at your smaller house. These trends are especially true among younger buyers who don't plan on having large families; they now know that they can get a good space near everything they loved without having to travel. This demographic is perfect for those who are looking to sell smaller homes. Quite a bit of what's been discussed goes back to a single, overriding trend among younger buyers: minimalism. There are many who now see having a smaller, nicer home as a lifestyle statement. These are the same kinds of buyers who would have paid top dollar for a larger space years ago, but are now following current trends to keep up with their neighbors. If you have a small house, it's the perfect time to start branding it towards trend-conscious buyers. While the square footage might be minimal, there are many who see that as something of an asset. Your smaller home gives you the chance to enter a changing marketplace and to attract buyers who are no longer using size as their primary real estate metric. If you have a small home, the time to sell is now—you can take advantage of a huge cultural change and make your money while it lasts. Smaller homes are doing well on the market today, so make sure to strike while the iron is still hot. Interesting read. Yes, preferences seem to be shifting continuously toward smaller homes. Their easier upkeep is a great advantage for those who lead hectic lives. And, like you’ve mentioned, “smart investment” has become the overriding criterion. True for buyers and fix-and-flip strategies.